"For several months France has been the subject of repeated accusations, unfounded attacks and outlandish claims", the French Foreign Ministry said in a statement, adding that such criticism was "unprecedented" since the end of World War II. "All these moves create a grave situation that questions the intentions of the Italian government and its bilateral relations with France. In light of this unprecedented situation, the French government has decided to recall the ambassador of France in Italy for consultations", a spokesperson for the Foreign Ministry added. Addressing the move, Italian Deputy Prime Minister Salvini stated that Rome had no intention to argue with Paris and offered to turn the page in their relations between the two countries, adding, however, that France must stop pushing migrants back at the border and sheltering criminals. Di Maio has supported the French protestors, saying following a meeting with the "yellow vests", that the "winds of change" had crossed the Alps. In response, Paris called the meeting "a new provocation" by the Italian Deputy Prime Minister, stressing that such moves are "not acceptable between neighbouring countries and partners in the European Union". 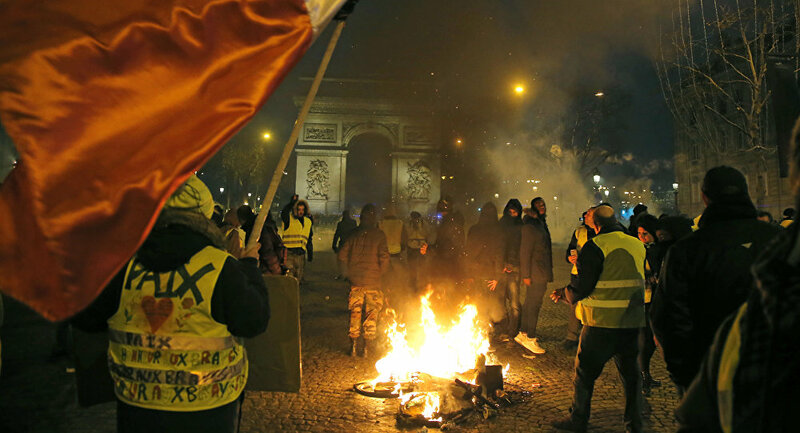 The "yellow vests" rallies, triggered by fuel price hikes last November, are still ongoing, with almost 60,000 reportedly participating in mass protests in France during the first weekend of February.